"Do you work up here all year round?" 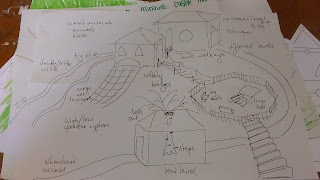 The answer to this is that we don't and this blog is about what we might be doing when we are not tackling erosion in the Fells of the Lake District. 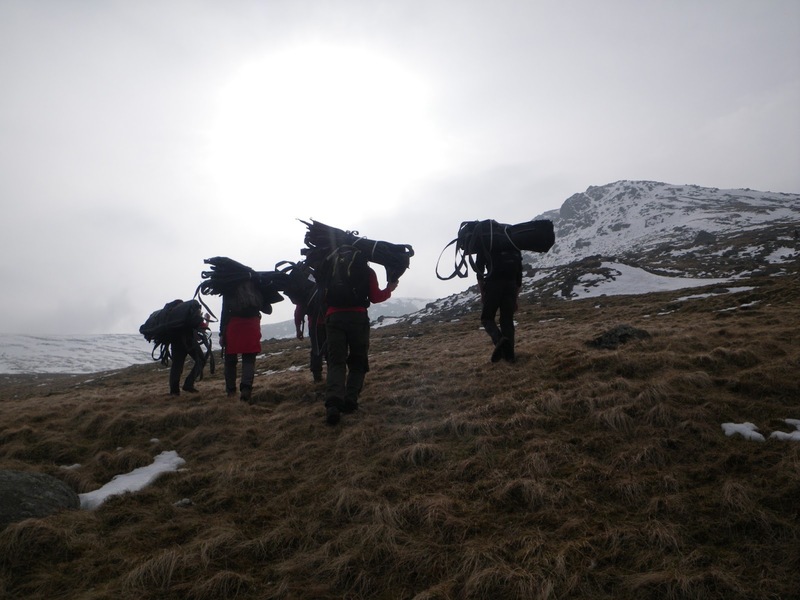 We do spend much of the year in the Mountains and during the months between the clocks going forward an hour and until they go back again we expect to spend nearly all of our working time up in the Fells. This period is sometimes referred to as our "Fell Season". Upland Rangers in their natural habitat during the "Fell Season"
Outside of this "Fell Season", due to the shorter days and weather conditions, it isn't practical or safe for the team to stay in the Fells and we move onto work in the lower level Countryside. We call this our "Winter Work" programme (although it does include parts of Autumn and Spring too). In general the team will help with anything that our Ranger colleagues in the South Lakes ask. 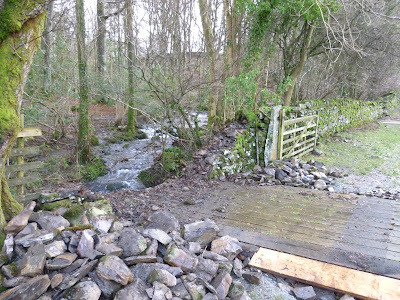 There is never a shortage of lower level countryside work and we can find ourselves in high demand (it is not unheard of for our Area Rangers to "fight" for our time). The examples below, from this years "Winter Work" programme, give an idea of some of the types of work. 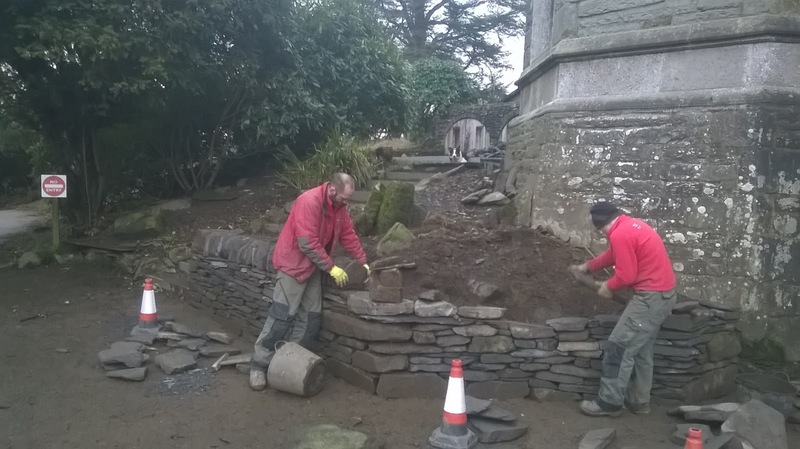 We often work with rock and some dry stone walling is a common activity. There are always plenty of wall gaps to repair and we sometimes do some slightly more formal work too. 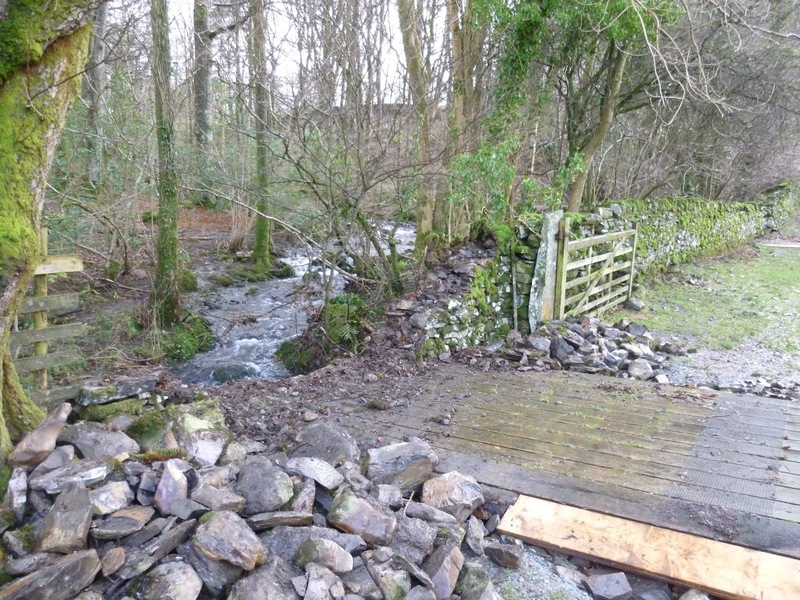 Another recent task, also using stone, has been some Slate-edged pathway. A common task in recent years for our Woodland Ranger is building tree cages to protect young trees. This year has been no exception. We might repair or construct countryside furniture such as gates, stiles and benches. We might also work in other areas of the National Trust where help is needed. 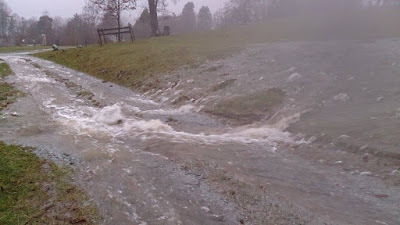 For example the recent floods didn't affect our South Lakes area as much other parts of Cumbria and we have provided some support in other areas. Each year we usually help the Steam Yacht Gondola team winch Gondola out of Coniston Water and set up the frame to cover her for Winter repairs. The work we get involved in can be very varied and the examples above are a small selection based on recent months. Our team could be called on to help with any work needed in order to look after the countryside. At this time of year we don't completely neglect our upland work and weather permitting we try to fit in some maintenance days. We also have an upland work party with the Fix the Fells Volunteer "Lengthsmen" at least once a month. We also need to think about preparations for the forthcoming Fell Season and usually need to consider rock for our projects. There is seldom sufficient rock close enough to the paths we are going to work on and we may need to fill "heli-bags" so rock can be lifted to site by helicopter. 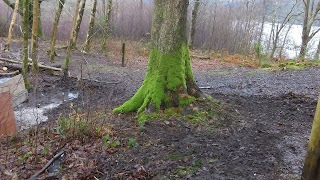 This needs to be done in the early months of the year so it is ready for when we return to the fells. Carrying the heli-bags up to rock collection sites is often quite a good warm up for the main event of actually filling them. 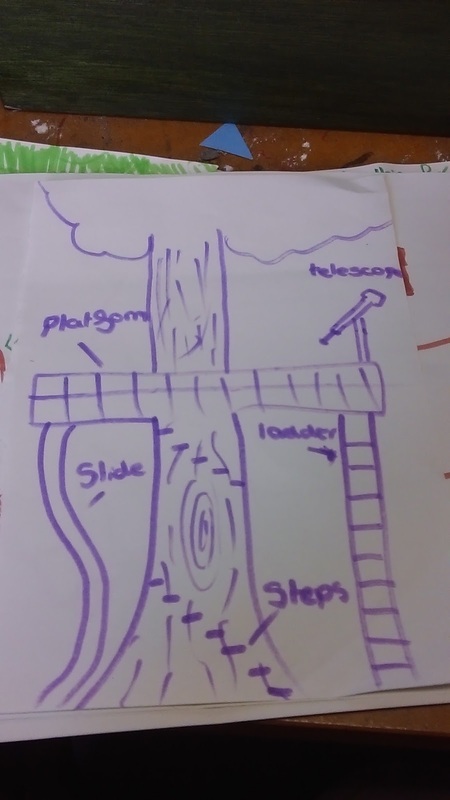 Building a treehouse inside the tree trunk! 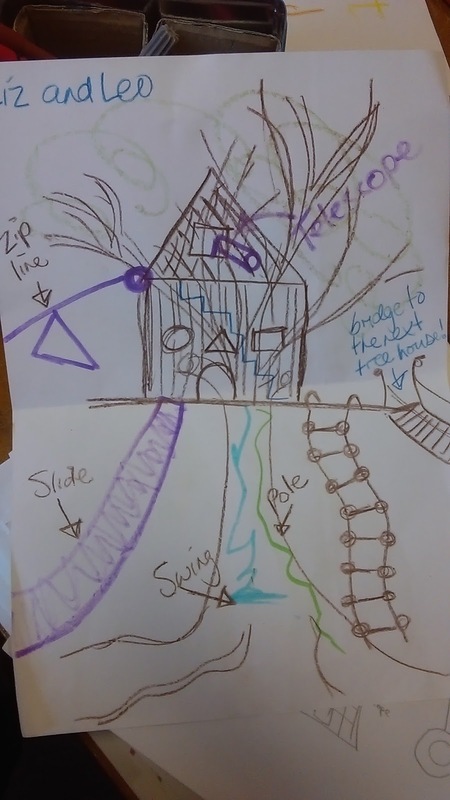 Some of the designs submitted were by 'big' kids! Perhaps this could be phase 2 of developments? So we got our thinking caps on to work out the best way to combine all these super ideas, but that suited the tree we were thinking of building the treehouse around. The time has finally come, many of the materials have been gathered… and work has commenced! There was a lot of head scratching to get to this stage..! 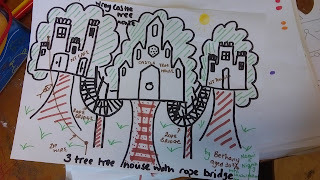 We hope to build more than just a treehouse…it is going to be castle themed, have two floors, arrow slits, a fireman’s pole and a slide.. giving a unique view of Wray Castle and in winter, down to the lake! 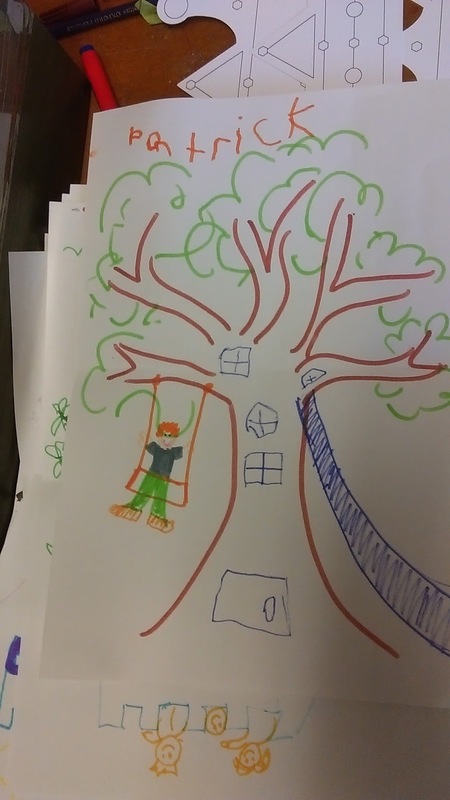 Come on down and have a play for yourself when we finish… Unfortunately, we are at the mercy of the weather here in Cumbria, so providing we don’t get blizzards and more flooding we hope to have the treehouse up and running in the February half term! 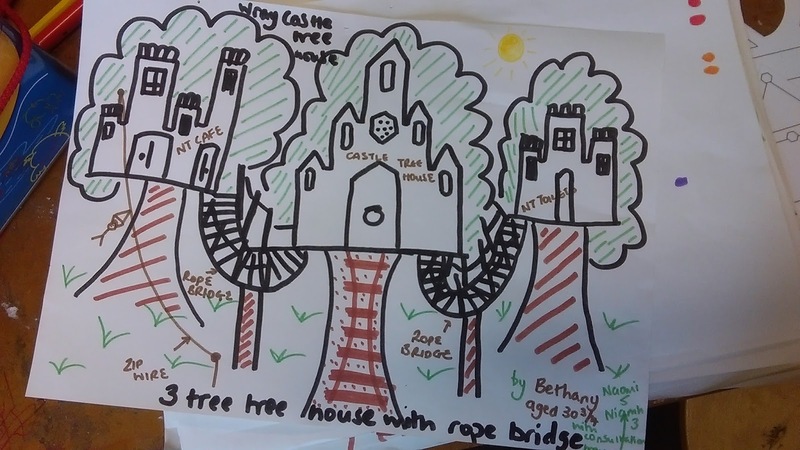 This treehouse has been part funded by the proceeds from the Cadbury's Easter Egg trail, so thanks to everyone for taking part and enabling us to build this!